Are you ready to take your yoga teaching to the next level? Looking for a +500/300-hour training program that will suit your needs and lifestyle approach? Om Yoga Studio Advanced Yoga Teacher Training gives you a broader and deeper set of skills and insights to bring into your personal practice and your teaching. We focus on developing an advanced understanding of how to effectively teach asana through intelligent and thoughtful sequencing of vinyasa (August 2018) and yin yoga (November 2018), pranayama and meditation practices to all levels and conditions of students, including group and private sessions. We look in greater depth at each of the topics considered essential in the ongoing development as a professional yoga teacher. Our lead teachers are highly experienced and passionate about yoga and want to share this incredible transformational journey into deeper study of self and others. Please take a look at their bios on the website – Sandey Hoskin, Kylie Rook and Fiona Liu. The program asks for your full commitment to being on the path of the teacher; staying in your personal practice and teaching in an active way. This pathway gives you the freedom to choose specific areas for deeper study and training with the modules over the course of a year. Non-contact hours: Independent Student Study occurs throughout the year including final written exam. Completion of a credible 200-hour yoga teacher training. Commitment to deeper learning and the development of more refined skills. At least 6-12 months of regular teaching experience. For cancellation one month prior to the start date of the purchased module, payment will be refunded less $500 application fee. Less than one month prior to and up to the day before training begins, 25% of the teacher training cost will be refunded. There is NO refund once training begins. For full payment of 300 hours, NO refund once the first training with us begins. In this course you will develop the art of creative and meaningful sequencing to create purposeful and powerful practices for students and for yourself. As a teacher, it is important to not only understand how to sequence a class but the WHY behind it. Students will have a significantly more powerful experience on the mat when they are properly warmed physically, but also have the ability to experience a deeper purpose for their practice from a spiritual and philosophical perspective, when offered in an appropriate way that will give them something to take away and apply to their life off the mat. Sequencing for Level 1 – Level 3 students in terms of appropriate peak poses and transitions for a sequence along with considerations or options for an open level class. Sequencing for peak pose in vinyasa and alignment based hatha classes. Sequencing based on anatomical function and dysfunction, including how to sequence for private clients. Sequencing around an energetic quality such as the chakras, gunas, doshas or meridians. Sequencing around philosophical teaching such as the yamas and niyamas. We will go deeper and more curiously into why we teach what we teach and how we live in a way that supports our teaching. How can we be more authentic and real? Sequencing around the fascial system and anatomical trains. Students will be given an outline of the above sequences. Each day will begin with a yoga practice based on one of these specific topics. After the morning practice we will spend the time discussing and analysing the practice to explain the ‘how’ and the ‘why’. The afternoon will be spent with students working in groups to create sequences together. We will close the day with a brief presentation from each group about their sequence and a short practice focused on opening the different fascial lines in the body complete with a meditation. Teachers will leave with a better understanding of how to create more meaningful classes for their students, gaining greater confidence and knowledge with a new toolkit in sequencing. Teachers will have a better understanding of what options to provide for open level classes, including bringing in secondary themes to create more depth and inspiration to teachings. In this course you will learn in-depth knowledge of Yin from perspectives of meridians and mindfulness. As a Yin teacher, it is important to understand WHY we practice Yin, how to teach and support students in a mindful and compassionate way, so that they are educated as well as given space and silence. Review the main principle of Yin. The Energy Body – the pathways and functions of the major meridians, the organ systems and the postures that coax Qi/Prana into the meridians. The Mind and Meditation – The Eastern view of the mind, mindfulness and learning to deal with emotions as they arise. How to intelligently and thoughtfully sequence a Yin class, including how to theme and sequence seasonally. Setting up and creating an energetically safe space. Teachers will leave with a deeper understanding of all aspects of Yin Yoga. Gaining the confidence in the teaching of Yin Yoga, beyond the physical level and with more substance. Teachers will also learn the art of giving space and silence, to provide a more meditative approach in Yin teaching. Teachers will learn how to confidently support students and give alternative options and modifications when teaching to different levels. Dive deeper into functional anatomy and the biomechanics of the axial and appendicular skeleton. In this course we will look in more depth at the anatomy of the shoulder, spine, hips, knees, hands and feet. We will look at skeletal variation, common dysfunction, therapeutic assists and modifications and how this can be applied in private or group class setting. In-depth study of the key areas of anatomy along with a practice each day. Focus will be on these areas so the teacher can see how to instruct students safely, being mindful of skeletal variation, injuries and common physical issues. Group work looking at skeletal variation and how this affects poses. How to assist students into the pose using voice and touch. Common injuries for the shoulder, spine, hips, knees, hands and feet and how to structure private or public classes to cater for these issues. How to use hands on assists to enhance or enable a student to feel the action within their body. Each day will target a specific area as above. Morning vinyasa/hatha practice will involve myofascial release, stability and strengthening poses to bring awareness to the muscles that support the various joints we are focusing on. We will look at the anatomy of the joint, discuss skeletal variation and put the theory into practice amongst our peers. The afternoon will be focused on common injuries and how to modify or assist students within a class and private setting. There will be group work to practice the hands on assists as well as developing your own class plans around a specific injury or area. Evening practice will be a restorative/yin/myofascial release class targeting the area of focus for the day. Teachers will leave with a better understanding of how to assess, adapt, modify, safely assist and guide students that have injuries or skeletal variations to get more out of their yoga practice in both group and private settings. In this course we will dive deeply into Patanjali’s Yoga Sutras, the Bhagavad Gita, and Tantric Philosophy. Pranayama is the key to a cultivating a deeper experience in asana practice and meditation. Students will learn the anatomy and physiology of breath on the physical and subtle levels and how to teach advanced pranayama techniques, bandhas, mudras and mantra. We will also explore how the subtle body, relate to energy disturbances and the journey to self-awareness and ultimately self-healing. Advanced asana practice can only truly be practiced in a mindful way when the mind is steady and the body is stable and strong. We will learn about the functions and movement of the 5 Prana Vayus that govern areas of the body and different physical and subtle activities. We will begin the morning with a pranayama, asana and meditation practice. Learning and teaching the above pranayama techniques. Learning how the consistent practice of pranayama creates sustainability and longevity in the practice and in life. Discussion and lecture around the Yoga Sutras with a focus to the 8 Limb Path, Kriya Path and the Kleshas. Looking at the afflictions and obstacles that cause Dukkha (suffering) and how, with the discipline and practice of pranayama, meditation and asana we can learn to let go more of things that don’t serve us, create less suffering and more joy. The pathway to Samadhi. What does it look like? We will look at Dualism versus Non-Dualism (Tantra). Samskaras (the habits and tendencies that cause suffering (Dukkha)). Discussion and lecture with guest teacher around the Gita. Learning some of the stories and meanings behind this epic story. Dharma? What does it really mean to live your Dharma? What is your purpose? We will spend time going deeper into advanced poses, how to teach these poses and when not to teach them. WHY do advanced poses? Along with all of the above there will be a focus to mudras, bandhas and mantra as preparation for going deeper into the subtle layers of the body and mind to prepare for meditation. For teachers to leave with a greater understanding of the science behind ancient yogic philosophy and how to apply this to life, and teaching students. Teachers will gain a greater understanding of how to teach advanced pranayama techniques and meditation practices. Teachers will learn how to safely get people into advanced poses should this be right for the specific student*. *Some of these advanced poses and teaching techniques will cross over from the sequencing module. Students have demonstrated understanding of course learning objectives by their supervised practicum, attendance at all lectures, participation in all discussions and workshops. Completion of required course work including written self-evaluation for 25 group or private sessions, 30 hours on a project of choice and a final assessment. Each students’ ideas for their project will be determined during the training. Trainers will be available to support this process to completion. Certificate given at satisfactory completion of 300 hours. 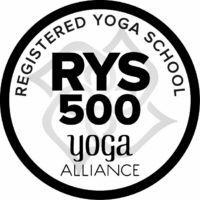 This 300 hours will go towards obtaining registration with Yoga Alliance RYT 500. Reading for Biomechanics Module: For this module it is expected that students have a basic understanding of anatomical terms, muscles and bones, orientation and movement planes. What style(s) do you practice? And what’s your preferred style to practice? How regularly do you practice? Is it a mix of studio and home practice? When and where did you do your 200-hour teacher training? Do you currently teach yoga? If yes, how long have you been teaching yoga? What style(s) do you teach? Have you done any yoga workshops / intensives apart from your 200 hour training? If yes, what teachers have you studied with? By checking this box, I declare that I have read and understand the entire application and agree to the terms and conditions. The facts set forth in this application are, to the best of my knowledge, true and complete.